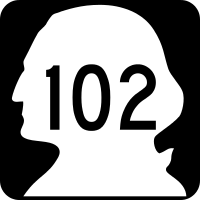 On Sunday, April 25, 2010, I drove the short length of Washington State Route 102 . . . all 2.8 miles of it. 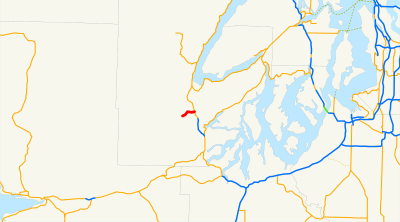 Beginning at the Washington Corrections Center, thence northeasterly to a junction of state route number 101 north of Shelton. 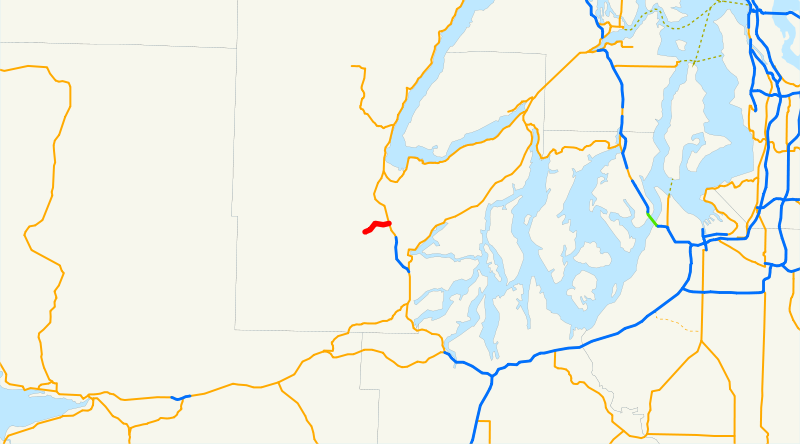 Before award of any construction contract for improvements to state route number 102 under either program A or program C, the department of transportation shall secure a portion of the construction cost from Mason county. 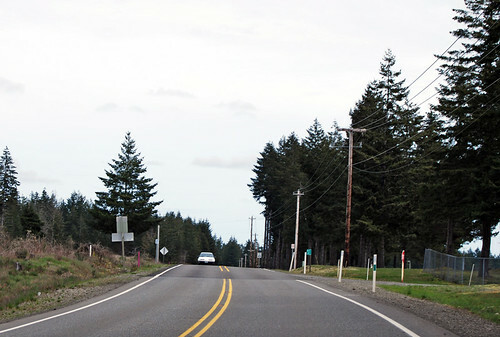 At the western entrance to the Washington Corrections Center near Shelton, our highway begins. No parking allowed. Look to your right as we pass this row of trees and watch the prisoners milling about in the yard. Be glad you're on the this side of the razor wire. 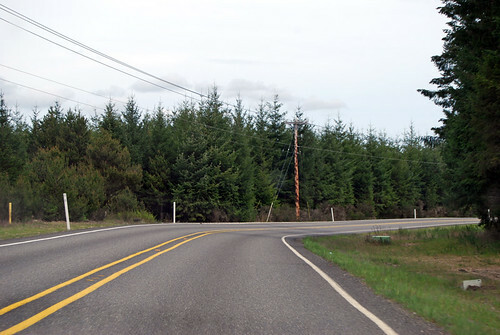 1.4 miles later, the road starts curving to the right. This is the halfway point of the highway. 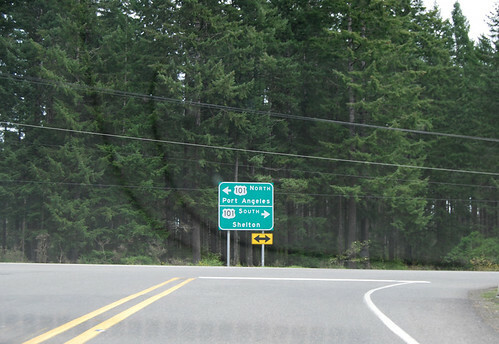 Shortly after passing the State Patrol Academy and the north entrance to the local airport, SR 102 ends at US 101.